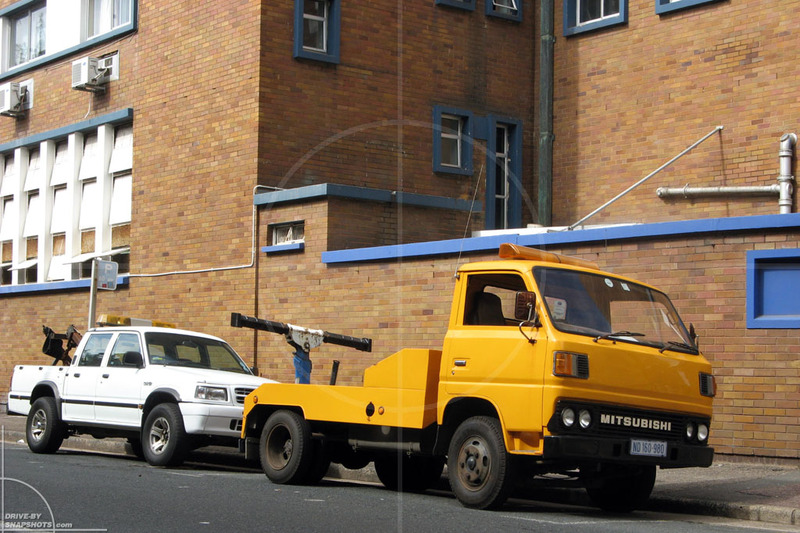 This yellow Mitsubishi tow truck was conveniently parked in front of a building with blue window frames in downtown Durban. 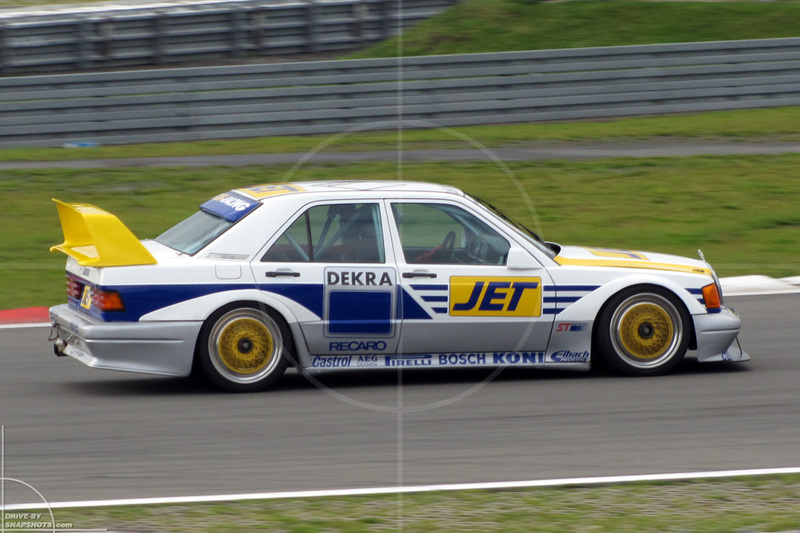 …whereas the Mercedes-Benz 190E 2.5-16 Evo 2 is a little more subdued with the white elements of the JET livery. Beautiful! 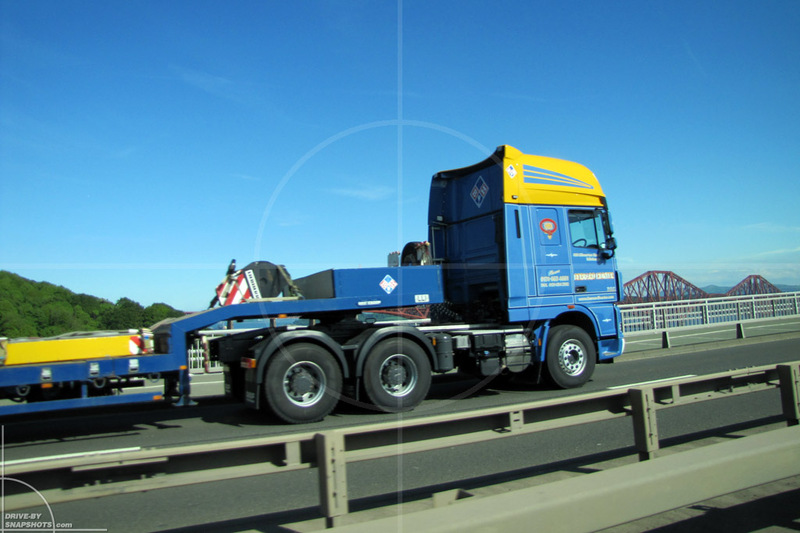 While crossing the Firth of Forth and looking at the famous railroad bridge, which you can see a glimpse of on the right side, a yellow and blue DAF truck with a matching flatbed trailer drove into the picture. 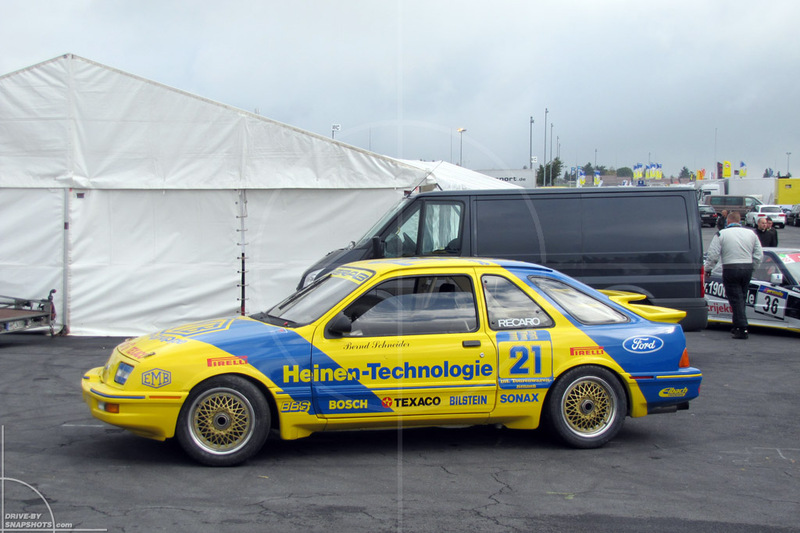 It was then and there that I first thought about posting a selection of similarly colored vehicles. The last picture is the best picture, in my opinion. This is such a timeless scene, the picture might be 15 years old and nobody would be even doubt it. 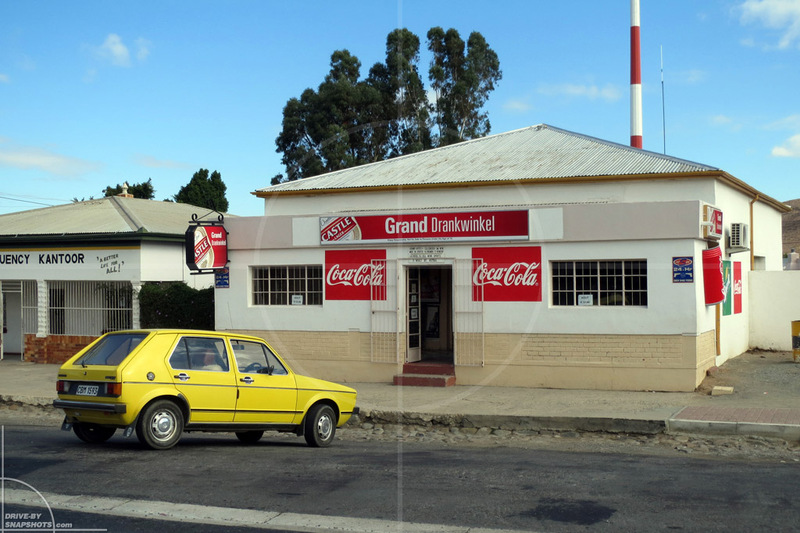 Actually, this was taken en route from Capetown to Johannesburg in Laingsburg. Click here to see the place without the Golf. 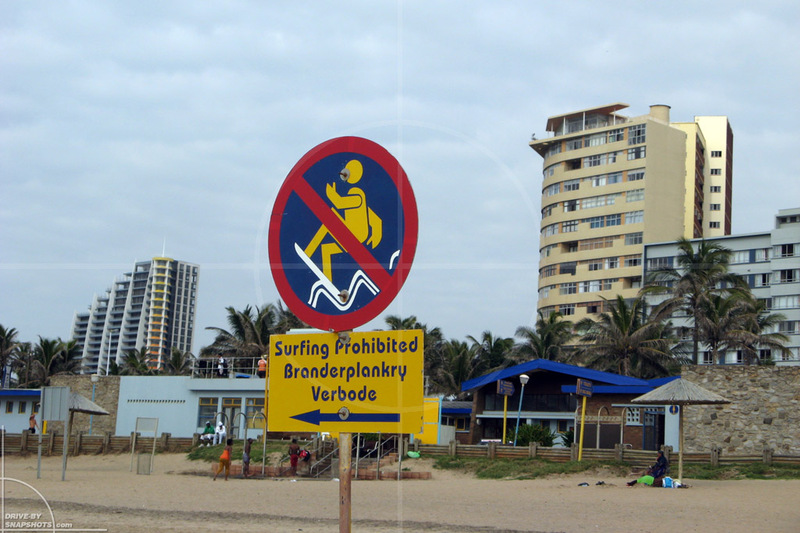 Mind you, there is not a whole lot to see in Laingsburg, so we visited the Vloedmuseum and bought baie lekker Biltong in the shop next door.